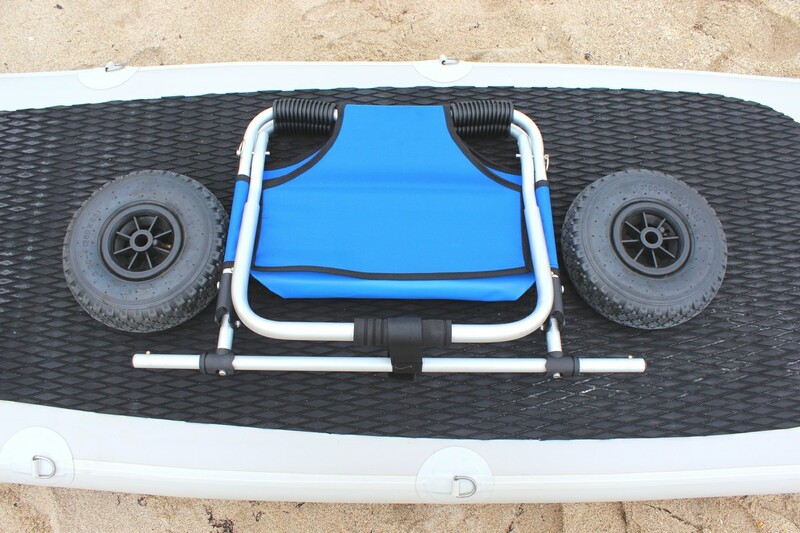 OUR FOLDABLE KAYAK CART is lightweight and portable for easy storage, but comes with large, heavy-duty pneumatic wheel to support up to 250 lbs. 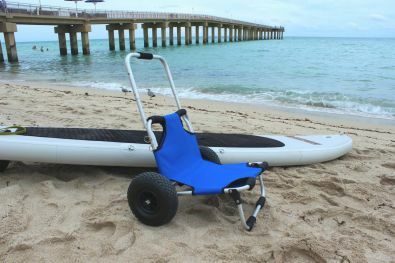 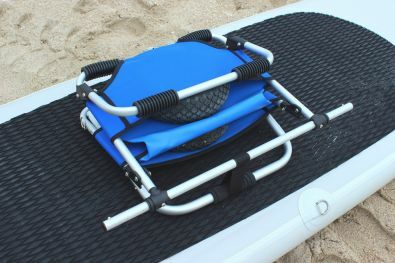 Big and wide wheels make transportation of your canoe, kayak, paddleboard easy over most surfaces. A full width crossbar provides excellent support while loading and unloading, and rubber pads help to protect you hull and keep it in place while underway. 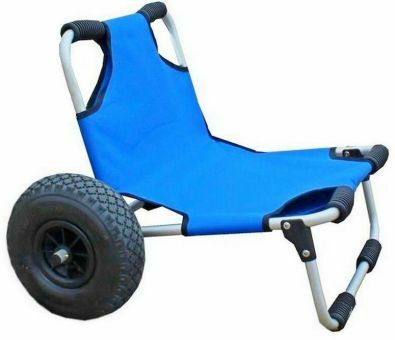 Constructed of high quality anodized aluminum alloy for a very long life, it can be folded down to a compact size, while the pneumatic 10" diameter by 3" wide heavy-duty, all-terrain wheels are easily removable. 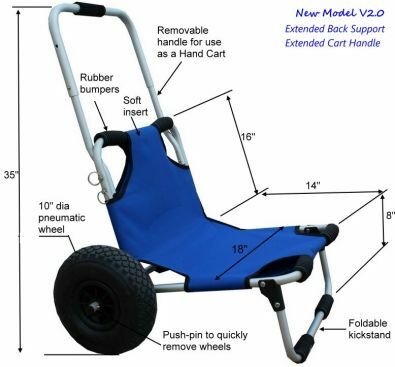 Cart folds down flat and wheels are removable for portable storage. 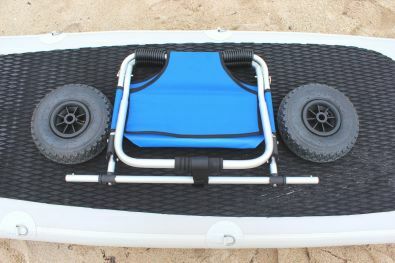 Can fit inside KaBoat or attached with bungee cords to any type of kayaks.